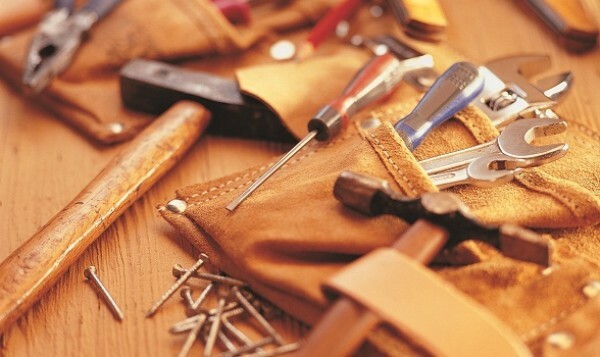 Whether you’re a professional woodworker, a weekend hobbyist who enjoys do-it-yourself woodworks, a student working on a school project, or a homeowner toying with the idea of a one-board bench for your garden, the same rules in woodworking safety applies. And it won’t hurt to know the basic dos and don’ts in woodworking as much as it would if you didn’t. Not convinced yet? Let’s look at the numbers. In 2011, the National Electronic Injury Surveillance System (NEISS) published a report on woodshop machinery-related injuries, and below are the estimated annual statistics. The numbers are undeniably big and the report only goes to show that woodshop accidents can and do happen. But the damages resulting from them may be significantly decreased, if not avoided, only if and when woodworkers are armed not just with the tools and machinery but also with the proper knowledge and safety gears. 2.1 1. Don’t ditch the safety gear. 2.2 2. Wear proper clothing. 2.3 3. Stay clean and sober. If used the wrong way and without necessary safeguards, woodworking tools and machines can, in an instant, turn what’s meant to be an awesome masterpiece into an awful disaster. Severed fingers, blindness, deep cuts and wounds, and, in extreme cases, amputations are just some of the common injuries that result from improper handling of machines, and of passing up on safety gears. Cutting a board in way that could result in a “kickback” wherein the board gets pinched and thrown back forcefully towards the body is one of the common woodshop incidents that cause injuries. Removing the blade guard, putting the hand directly behind the saw, getting sloppy with nail guns, and being careless with utility knives also made it to the list of small mistakes that produce big numbers of injuries. Now, this article is not meant to scare you away or discourage you from developing and practicing your potential and artistry in woodworking. This is meant to increase your confidence when working with wood by sharing with you some of the basic safety rules that will allow you to create wooden furniture and art pieces without cutting your thumb, shooting a nail into your body, puncturing your eyes, or cracking your ribs. 1. Don’t ditch the safety gear. As redundant as it may sound, safety gears are for your safety. And more than the thrill and satisfaction you’ll get from creating a wooden piece of artwork or furniture, your safety should always be your top priority. 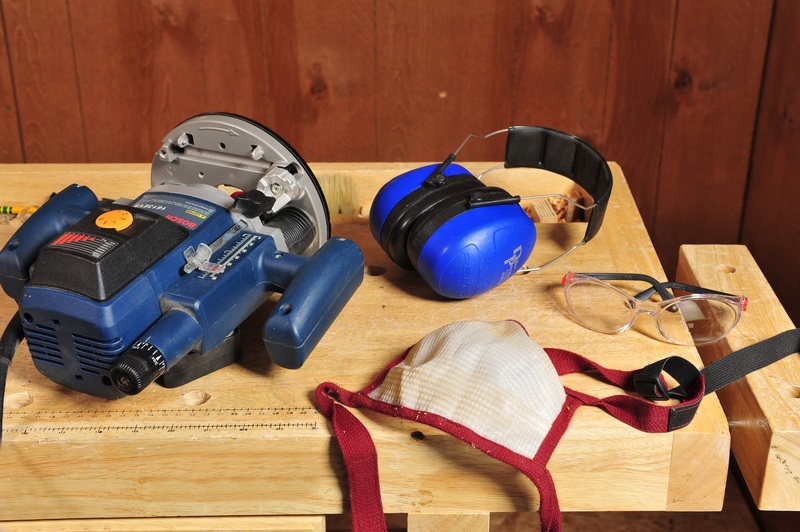 Don’t run the risk of puncturing your eyes, losing a finger, or damaging your ears just because you’re too excited to get work but too lazy to wear your safety glasses, hand gloves, hearing protection, respirator, overalls, and other necessary safety gears. A little inconvenience can spell great difference especially when you’re working with huge planks of wood, blades, and nail guns. Clothes that are too loose as well as dangling jewelry items like bracelets and necklaces can easily get caught in a saw blade or cutting head and put you in a dangerous position when working. Wear something that will not just allow you to move comfortably but will also keep you from getting entangled in cutting machines. 3. Stay clean and sober. Drugs and alcohol are not something you want running in your blood when working with your power tools. Woodworking requires full attention and focus, which you cannot do if you’re intoxicated. 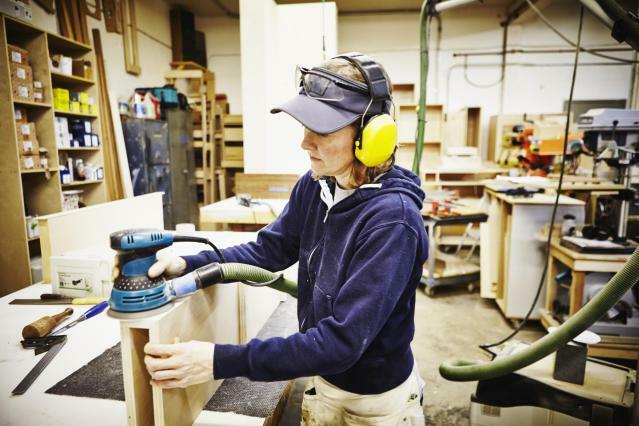 So, if you want to keep your wood shop an accident-free zone, make sure you stay away from substances that can negatively affect your state of body and mind, and keep you from giving your 100% concentration when working. Disconnecting power tools from electricity source before changing blades is one simple rule that, unfortunately, many woodworkers tend to forget. One thing you can do to avoid forgetting this life-saving rule is to use one extension cord for your power tools that run on the same voltage. That way, you’ll be somehow forced to unplug cords when switching tools and be more conscious of disconnecting your power tools before changing blades. Dull tools not only tear wood fibers and cause breakage but are also unpredictable and can run out of control, which can put you at risk of getting hurt. If you’re using a blade or chisel that’s not sharp enough, you’ll have to exert more force and effort so you can get your desired results. The trouble with it is that the more force you exert, the less control you’ll have over the machine or tool. And the less control you have, the higher your risk of getting into an accident. Wearing safety gears and keeping your tools and machines in good working condition won’t be enough to keep you safe from harm if you don’t know how to position yourself and where to place your hands and tools while working. Generally, you should avoid standing and placing your hands directly behind the blade. Make sure also that there are no nails, screws, and other metals laying near saw blades as these can cause kickbacks and severe injuries when left unchecked. This is very important not just for first-timers but even for professionals. Tools are designed for specific purposes and using them the wrong way will not only render them damaged and useless but also unsafe. So if you’re not sure how a tool or machine works, be sensible enough to consult someone who knows how to operate it or, at least, read the instruction manuals and do some research. Now that you know the life-saving basics of woodworking, you can begin and finish your work safely, confidently, and hazard-free.